As the year comes to an end, students around the country are faced with final papers and projects. Blu Dot is paying special attention to those in the Junior Level Product Design Class at Parsons, the New School for Design. In fact, they are hosting the final critique of the their Flat Pack project. 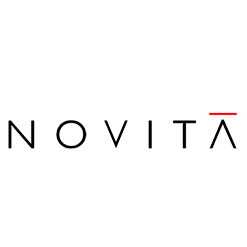 Critics include two Deans of Parsons and several prominent members of the design community including John Christakos, co-founder of Blu Dot. This subject is very close to the company’s heart considering how essential flat-packing is to their design aesthetic and shipping method. 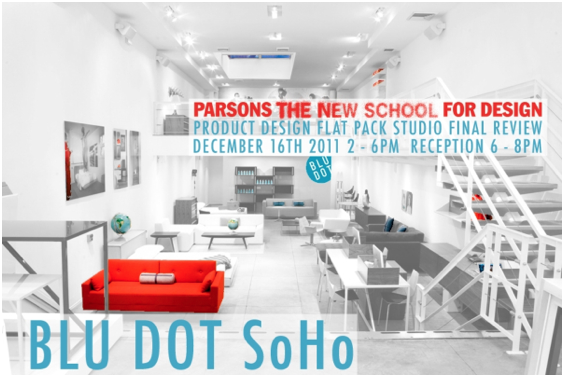 The final review will be held this Friday, December 16 from 2-6PM in the Blu Dot Soho showroom. It will be followed by a cocktail reception from 6-8PM.